Come to Hy-Vee to paint & cook in one fun class! We’ll be preparing and eating delicious holiday appetizers and creating a classic Christmas red truck wood sign. Personalize your sign by choosing your colors & text! Menu: Bacon-wrapped Dates with Goat Cheese ~ Tuscan Sausage and Bean Dip ~ Pomegranate, Pistachio Crostini ~ Sparkling Christmas Tree Cocktail. We’ll also be offering wine tastings that pair perfectly with these recipes. 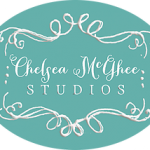 Go to chelseamcghee.com to view the wood sign and to register.